In today’s day and age, in nearly every market, consumers have witnessed advertisements, campaigns, and marketing strategies that have sparked the question, what were they thinking?? Like many years before it, 2017 marked some seriously questionable advertisements that left consumers puzzled on how blunders so obvious could have gone overlooked through various organizational departments and chains of command. In the Adweek.com article, Lessons Learned from the 5 Biggest Brand Fails of 2017, Kristina Monllos outlines how some of the biggest, most recognizable, and even iconic, global brands dropped the ball. She notes that her biggest takeaways in the article is that brands need to understand the crucial importance of being culturally sensitive and the significance of having advertisements that don’t exploit certain groups of people for the benefit of the brand. Monllos outlines the learning opportunities for each of the internationally recognized brands. Without question her most valuable piece of advice, which is blunt yet accurate, is “don’t do what they did”. Last year Pepsi ran, a now infamous, advertisement where supermodel Kendall Jenner abandons a modeling job to take action in a civil protest. During a time where police and civilian relationships are strained, enjoying a Pepsi amidst a public demonstration seems like the farthest thing from sensible. The commercial unfortunately came off as making light of the reasons that citizens protest. It’s clear that these masses protesting were doing so in order to bring attention to civil rights violations. Pepsi quickly realized their insensitivity, grasping that this dynamic mocked social struggles. The market leader removed the ad and publicly apologized, but not before going viral on YouTube first. Dove, one of parent company Unilever’s most valuable brands, had a substantial blunder in October of 2017 through an advertisement that was posted on the Dove Facebook page. The online advertisement displayed an African American woman that was wearing a brown shirt. The ad depicted a quick transition of pictures where the woman removes the brown shirt. Once the shirt was off, the actor was then replaced with a Caucasian woman in a white shirt. It seems hard to believe that something so overtly offensive and insensitive could have been approved through so many corporate channels. Dove explained that the ad was taken out of context, and that when shown on TV it was much less offensive and the message was made clearer. Regardless of and ad’s context, a brand should never leave such a mistake vulnerable to be taken out of context in that way. The nature of today’s market is characterized by a consumer base and society that is interwoven and ultra-connected. Organizational information and brand image can be instantly communicated the world over. 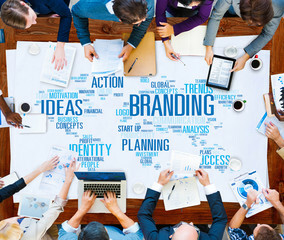 Although this can prove to have a positive impact on a company, these instantaneous connections can harm a brand image, a crucial component of an organizational strategy. News of an advertising blunder can go viral on the internet in moments and can leave a lasting negative impact on brand image.